This week, Mark Zuckerberg and his wife Priscilla Chan announced an initiative to give $3 billion dollars to UCSF for funding biomedical research. The tagline accompanying the funding in which they promised to “cure, prevent or manage all diseases in our children’s lifetime” drew scorn from scientists, but the bigger message of their philanthropy should not be lost on us. In an era where public funding of science has been steadily flagging and more and more researchers are finding it depressingly hard not just to fund their own research but even to contemplate pursuing basic research in the first place, initiatives like the Chan-Zuckerberg gift to UCSF are not just helpful but essential. Even if the research arising from the funds does not cure a single disease, by recruiting influential researchers and giving them money to explore their favorite areas in basic science, there is little doubt that the funding will have an impact on biomedical research. The most important discoveries arising from this initiative will be ones that cannot be anticipated, and that's what makes it especially important. Private funding of science ideally should not raise any eyebrows; it only does so because most of us are young enough to have lived in an era of mainly publicly funded research. In fact private funding of science has a glorious history. Just to quote some specific examples, William Keck was an oil magnate who made very significant contributions to astronomy by funding the Keck Telescopes. Gordon Moore was a computer magnate who made significant contributions to information technology and proposed Moore's Law; along with the Keck foundation, his organization has been funding the BICEP experiments. Fred Kavli who a few years ago started the Kavli Foundation; this foundation has backed everything from the Brain Initiative to astrophysics to nanoscience professorships at research universities. A few years ago, science writer William Broad wrote an article in the New York Times describing the private funding of research. Broad talked about how a variety of billionaire entrepreneurs ranging from the Moores (Intel) to Larry Ellison and his wife (Oracle) to Paul Allen (Microsoft) have spent hundreds of millions of dollars in the last two decades to fund a variety of scientific endeavors ranging from groundbreaking astrophysics to nanoscience. For these billionaires a few millions of dollars is not too much, but for a single scientific project hinging on the vicissitudes of government funding it can be a true lifeline. The article talked about how science will come to rely on such private funding in the near future in the absence of government support, and personally I think this funding is going to do a very good job in stepping in where the government has failed. The public does not often realize that for most of its history, science was in fact privately funded. During the early scientific revolution in Europe, important research often came from what we can call self-philanthropy, exemplified by rich men like Henry Cavendish and Antoine Lavoisier who essentially did science as a hobby and made discoveries that are now part of textbook science. Cavendish's fortune funded the famed Cavendish Laboratory in Cambridge where Ernest Rutherford discovered the atomic nucleus and Watson and Crick discovered the structure of DNA. This trend continued for much of the nineteenth and early twentieth centuries. The current era of reliance on government grants by the NIH, the NSF and other agencies is essentially a post-World War 2 phenomenon. Before the war a lot of very important science as well as science education was funded by trust funds set up by rich businessmen. During the 1920s, when the center of physics research was in Europe, the Rockefeller and Guggenheim foundation gave postdoctoral fellowships to brilliant young scientists like Linus Pauling, Robert Oppenheimer and Isidor Rabi to travel to Europe and study with masters like Bohr, Born and Sommerfeld. It was these fellowships that crucially allowed young American physicists to quarry their knowledge of the new quantum mechanics to America. It was partly this largesse that allowed Oppenheimer to create a school of physics that equaled the great European centers. Perhaps nobody exemplified the bond between philanthropy and research better than Ernest Lawrence who was as much an astute businessman as an accomplished experimental physicist. Lawrence came up with his breakthrough idea for a cyclotron in the early 30s but it was the support of rich California businessmen - several of whom he regularly took on tours of his Radiation Lab at Berkeley - that allowed him to secure support for cyclotrons of increasing size and power. It was Lawrence's cyclotrons that allowed physicists to probe the inner structure of the nucleus, construct theories explaining this structure and produce uranium for the atomic bombs used during the war. There were other notable examples of philanthropic science funding during the 30s, with the most prominent case being the Institute for Advanced Study at Princeton which was bankrolled by the Bamberger brother-sister duo. As the New York Times article notes, during the last three decades private funding has expanded to include cutting-edge biological and earth sciences research. The Allen Institute for Brain Science in Seattle, for example, is making a lot of headway in understanding neuronal connectivity and how it gives rise to thoughts and feelings; just two months ago they released a treasure trove of data about visual processing in the mouse cortex, an announcement that gave some academic scientists heartache. The research funded by twenty-first century billionaires ranges across the spectrum and comes from a mixture of curiosity about the world and personal interest. The personal interest is especially reflected in funding for rare and neurodegenerative diseases; even the richest people in the world know that they are not immune from cancer and Alzheimer's disease so it's in their own best interests to fund research in such areas. For instance Larry Page of Google has a speaking problem while Sergey Brin carries a gene that predisposes him to Parkinson's; no wonder Page is interested in a new institute for aging research. However the benefits that accrue from such research will aid everyone, not just the very rich. For instance the Cystic Fibrosis Foundation which was funded by well to do individuals whose children were stricken by the devastating disease gave about $70 million to Vertex Pharmaceuticals. The infusion partly allowed Vertex to create Kalydeco, the first truly breakthrough drug for treating a disease where there were essentially no options before. The drug is not cheap but there is no doubt that it has completely changed people's lives. "They have mounted a private war on disease, with new protocols that break down walls between academia and industry to turn basic discoveries into effective treatments. They have rekindled traditions of scientific exploration by financing hunts for dinosaur bones and giant sea creatures. They are even beginning to challenge Washington in the costly game of big science, with innovative ships, undersea craft and giant telescopes — as well as the first private mission to deep space." That part about challenging government funding really puts this development in perspective. It's hardly news that government support for basic science has steadily declined during the last decade, and a sclerotic Congress that seems perpetually unable to agree on anything means that the problem will endure for a long time. As Francis Collins notes in the article, 2013 saw an all time funding low in NIH grants, and it’s not gotten much better since then. In the face of such increasing withdrawal by the government from basic scientific research, it can only be good news that someone else is stepping up to the plate. Angels step in sometimes where fools fear to tread. And in an age when it is increasingly hard for this country to be proud of its public funding it can at least be proud of its private funding; no other country can claim to showcase this magnitude of science philanthropy. There has been some negative reaction to news like this. The responses come mostly from those who think science is being "privatized" and that these large infusions of cash will fund only trendy research. Some negative reactions have also come from those who find it hard to keep their disapproval of what they see as certain billionaires' insidious political machinations - those of the Koch brothers for instance - separate from their support of science. There is also a legitimate concern that at least some of this funding will go to diseases affecting rich, white people rather than minorities. I have three responses to this criticism. Firstly, funding trendy research is still better than funding no research at all. 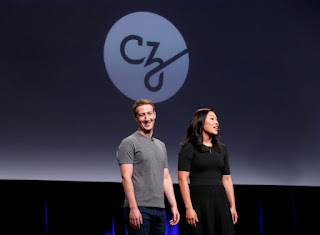 In addition many of the diseases that are being explored by this funding affect all of us and not just rich people; for instance, the Chan-Zuckerberg funding is geared toward infectious diseases. Secondly, we need to keep raw cash for political manipulation separate from raw cash for genuinely important research. Thirdly, believing that these billionaires somehow "control" the science they fund strikes me as a little paranoid. For instance, a stone's throw from where I live sits the Broad Institute, a $700 million dollar endeavor funded by Eli Broad. The Broad Institute is affiliated with both Harvard and MIT. During the last decade it has made important contributions to basic research including genomics and chemical biology. Its scientists have published in basic research journals and have shared their data. The place has largely functioned like an academic institution, with no billionaire around to micromanage the scientists' everyday work. The same goes for other institutes like the Allen Institute. Unlike some critics, I don't see the levers of these institutes being routinely pulled by their benefactors at all. The Bambergers never told Einstein what to do. Ultimately I am a both a human being and a scientist, so I don't care as much about where the source of science funding comes from as whether it benefits our understanding of life and the universe and leads to advances improving the quality of life of our fellow human beings. From everything that I have read, private funding for science during the last two decades has eminently achieved both these goals. I hope it endures. Note: Derek has some optimistic thoughts on the topic. This is a revised and updated version of an older post. While I share your opinion that any money, no matter the source, that gets funneled into science in a good thing, I think that one important point remains that neither you nor Derek in his post on the matter have touched upon. I fear that increased private funding in important fields of science might lead to a further decline in public funding, by producing a reliance on philantropic initiatives and privately funded science. Those responsible for the recent decline in public funding are always looking for new arguments to reduce it even further, and initiatives like this could serve that role very well. Your post gives the impression that public funding, because of being the younger model of financing science, will also be the shorter lived. But all ideas that form the structure of society were new at some point, and the good ones (and arguably some of the bad ones) survived to form our society today. I absolutely hope that publicly funded science proves to be one of the better and longer-lived of those ideas. So while I'm not at all opposed to the idea of large private research initiatives, I think we shouldn't lose the awareness that we, as a society, still need to ensure, by voting or campaigning or whatever, that there will be as much public funding for sciance as possible.